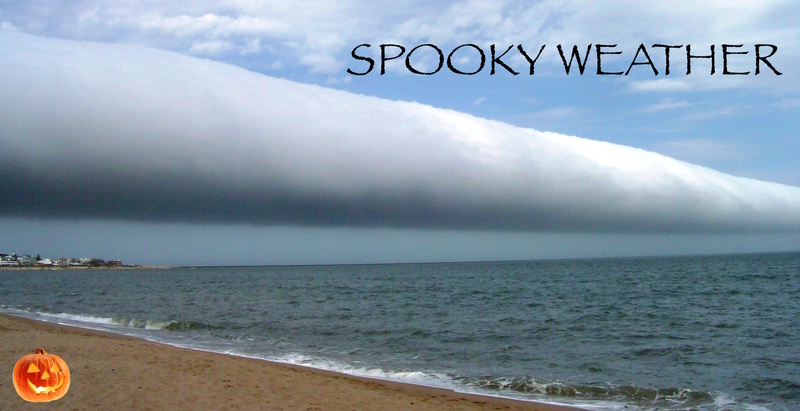 it’s Halloween on Saturday, we take a look at some of the spooky weather that can be seen, from UFO-shaped clouds to mysterious rings around the sun and moon. 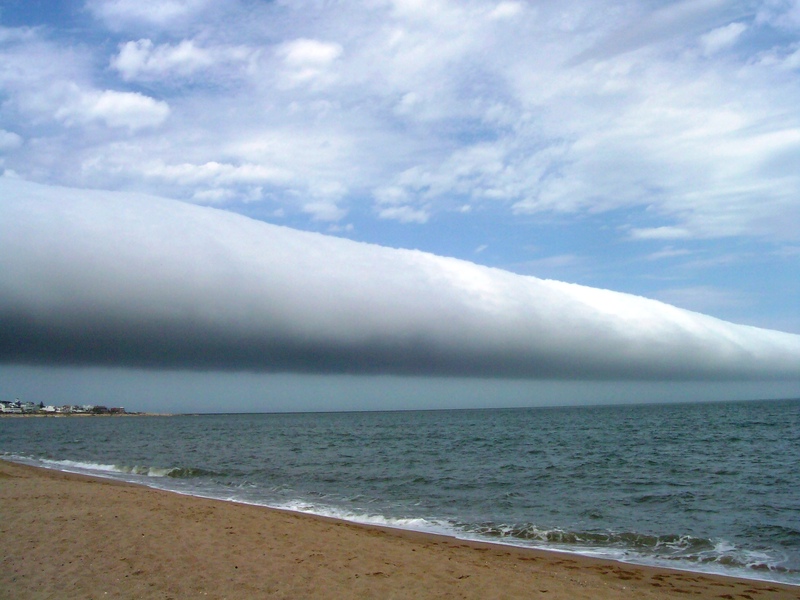 The roll cloud is usually associated with a thunderstorm or a cold front. As these rare clouds often appear to be ‘rolling’ they often cause fear that severe weather is on the way. A ring around the moon is created when the sunlight reflected by the moon passes through ice crystals high in the atmosphere and is refracted to create a ‘halo’ around the moon. 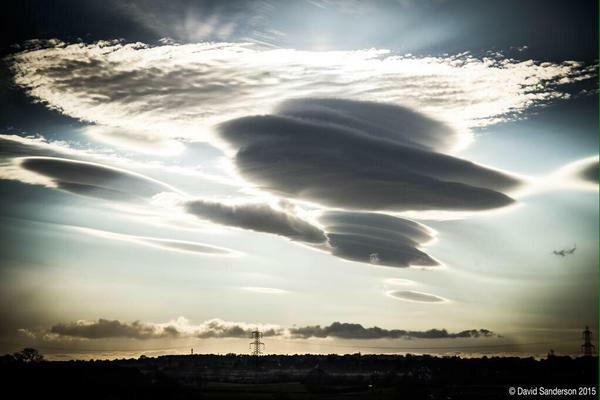 Owing to their distinctive oval shape, Lenticular clouds have often been mistaken as UFO sightings. As the wind blows across hilly or mountainous regions, the air undulates in a downstream train of waves. If there is enough moisture in the air, these waves will condense to form the unique appearance of lenticular clouds. A dust devil is an upward spiraling, dust-filled vortex of air that can vary in height from a few feet to over 1,000 ft. The phenomenon can seemingly appear from nowhere lasting only a few minutes before cool air is sucked into its base cutting off its heat supply. A fallstreak hole appears as a mysterious hole in the clouds, hence it is sometimes known as a ‘holepunch cloud’. They form in clouds of supercooled water droplets, where water is below 0 °C but has not yet frozen. When aircraft punch through this cloud layer, they can cause air to expand and cool as it passes over the aircraft wings or propeller. This sudden change in temperature can be enough to encourage the supercooled droplets to freeze and fall from the cloud layer causing the distinctive hole in the clouds. One of the most common forms of ‘scary weather’, thousands of thunderstorms are taking place at any one time across the globe. The lightning you see during a thunderstorm is a large electrical spark caused by electrons moving from one place to another, while the rumble of thunder is caused by the noise of intense heating and expansion of the air along the path of the lightning. Fog is caused by tiny water droplets suspended in the air. The thickest fogs tend to occur in industrial areas where there are many pollution particles on which water droplets can grow. Take any halloween pictures ?. Send them to our facebook page and they may feature on our website!